The most improbable story of the World Baseball Classic added a new chapter. Zach Borenstein hit a tiebreaking RBI single in the sixth, and the Israel bullpen protected the lead the rest of the way in a 4-1 win over Cuba in the second round of the 2017 WBC on Sunday afternoon at Tokyo Dome. The game was knotted 1-1 in the sixth when Borenstein stepped to the plate with runners on first and second. He laced a single into right, and Ty Kelly sprinted home to score. Blake Gailen doubled in another run to make it 3-1. In the eighth, it was up to the bullpen to prevent the Cubans from striking back. A single by Cuban pinch hitter Jefferson Delgado and a two-out walk drawn by Frederich Cepeda set the table for slugger Alfredo Despaigne, who homered earlier in the game and also in Cuba’s previous contest against Australia. Reliever Josh Zeid pitched around Despaigne, then retired Willian Saavedra with the bases loaded. 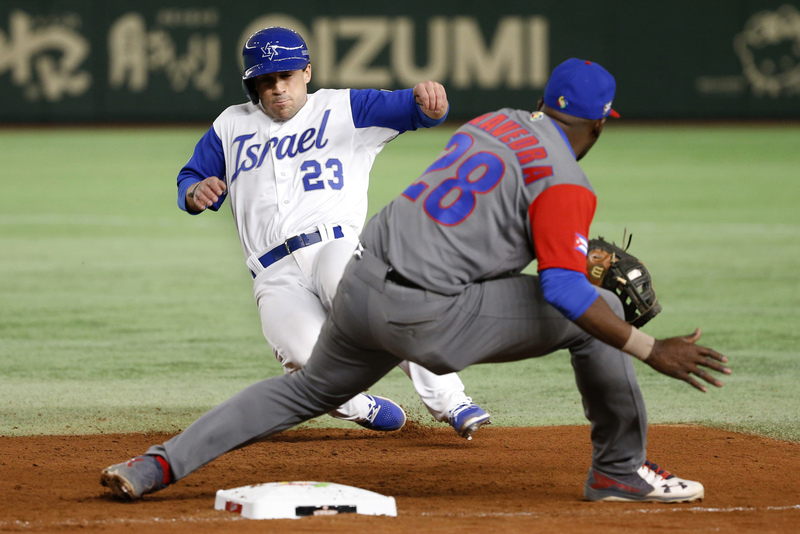 Israel has made waves in its first-ever appearance in the WBC, reeling off four straight wins. “We expect a lot out of ourselves, more than other people,” pitcher Jason Marquis said. 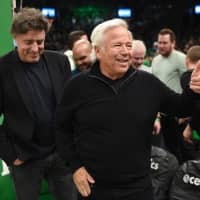 “We do have quality baseball players on this team, guys who have big league experience, a lot of young prospects who have bright futures. Israel is 41st in the World Baseball Softball Confederation rankings and has beaten South Korea (3rd), Taiwan (4th), the Netherlands (9th), and the fifth-ranked Cubans during the WBC. Gailen finished Sunday’s game with a pair of RBIs, while Lavarnway and Borenstein drove in Israel’s other runs. Marquis got the start for Israel and allowed one run on four hits with four strikeouts. Israel handed the game over to its bullpen after the fourth and Zach Thornton, who earned the win in relief, Brad Goldberg and Zeild, who threw 1⅓ innings for the save, got the job done. The only highlight for Cuba was Depspaigne’s long home run in the second. Yoennis Yera allowed two runs in 1⅓ innings of relief and was charged with the loss. Cuba led 1-0 until Lavarnway connected on an RBI double in the fourth before. Israel eventually took the lead in the sixth and never looked back. 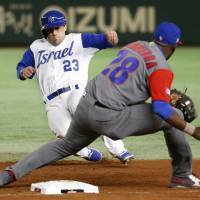 Israel will face the Netherlands on Monday at the Big Egg, while Cuba gets the day off.